If you have renovated, extended, painted or decorated your property, it certainly needs proper and detailed cleaning. We offer highly professional and reliable builders cleaning which will make your rooms, pavements, walkways and patios perfectly clean. Our staff will remove the paint, plaster, varnish, cement and other stains from your floors, walls, carpets and furniture. Use our top-notch builders cleaning which we provide in Putney SW15 every day in the week. Your home and commercial property will be liveable and hygienic again. If you have changed the structure of your property, extended, merged, separated or renovated some of the rooms, we can help you clean the place. Our staff will wipe the dust from all pieces of furniture, appliances and hard surfaces. They will remove the paint, varnish and all kinds of stains from the walls, ceilings, floors, carpets and upholstery. We provide removing of lime-scale, polishing tiles and cleaning bathroom after renovation. 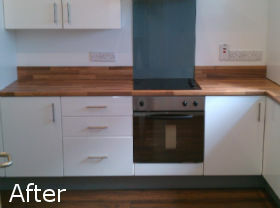 Our staff can sanitise your kitchen or any other room. 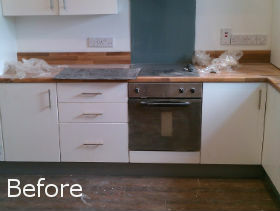 Our builders cleaning is provided in Putney every day in the week at reasonable prices. Our builders clean up services in SW15 are appropriate for rooms and outdoor areas after refurbishment, construction and decoration work. If you have made some outdoor constructions or changes in the decoration, we can pressure wash your walls, pavements, walkways and tiles. The builders cleaning that we offer in and around SW15 Putney is professional, inexpensive and will make your home and business property hygienic and impeccable.